Having to pinch pennies is a reality for many Americans. While being cost-conscious is definitely not a bad thing, at what point are you actually costing yourself more in the long run. Saving up and spending the money to purchase a high-quality ultra-durable pair of shoes saves you from having to go sback months later to replace your cheap bargain shoes. If you spend $40 twice a year, every year, that really adds up. Many high quality shoes will last for years. It’s not just the overall savings you can look forward to – there are other incentives for not skimping on your footwear purchases. Whether it’s dress shoes, sandals, work shoes/boots, winter boots or anything in between, comfort should be paramount when deciding on what footwear to buy. Cheaply-made bargain shoes are just not comfortable. They’re oftentimes not even sized correctly. If you have never gone to a bootery or a good quality shoe store, you don’t know what you’re missing. Even if you’re not sure about buying, stop in and try on a pair of shoes – your feet will thank you! As mentioned at the beginning of the post, a durable shoe is less expensive in the long run. The upfront cost may be a bit more, but the shoes will last for so much longer. People tend to take better care of shoes that cost more, as well, because they see them as a mini investment. Usually higher quality shoes come in classic styles that will be fashionable for years. This is imperative for the manufacturers, because they know they will last that long! 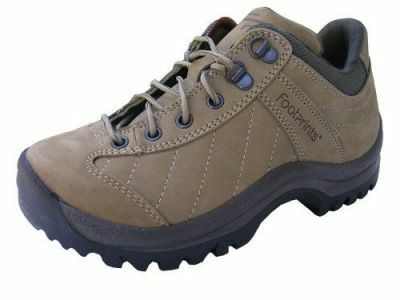 Cheap shoes are generally designed for short term use which is reflected in the style options. At Corey’s Bootery in Kalamazoo, we have been providing the community with high quality footwear for over forty years. We are proud to be an ABC accredited facility with three certified Pedorthists on staff and ready to assist you will your personalized shoe needs. Stop in to our store and consult with our expert staff and try on our incredible shoes today!